Redondo Beach Historic Library offers outdoor ceremonies like this one. 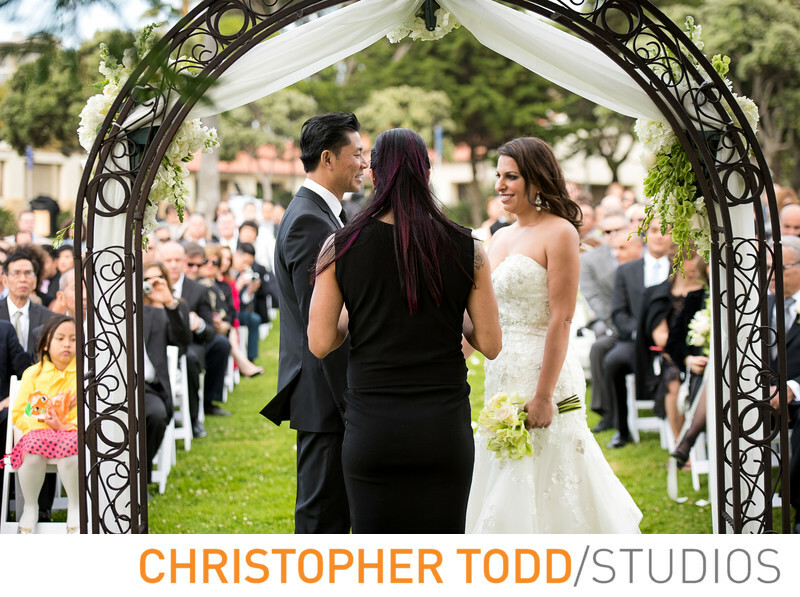 The Bride and groom stood under the beautifully decorated arbor where they exchanged wedding vows. I love the pure joy on their face. 1/320; f/2.8; ISO 200; 70.0 mm.